Cunctis mortalibus mors debetur. Fra et genoptryk af The Fall of Princes, redigeret af Richard Tottel. 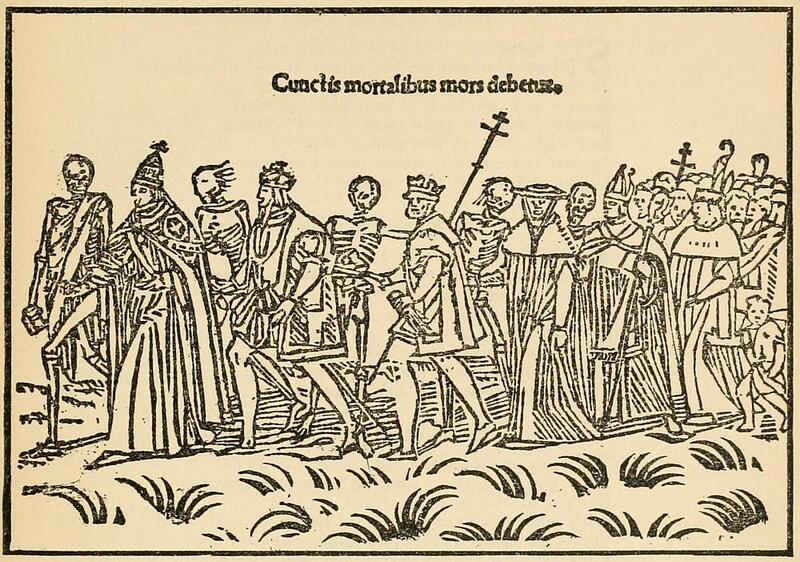 Den originale side fra 1554 er her: The Daunce of Machabree.